Set deep beyond the forests edge, past the rolloing lawns is Longleat House, one Britain’s most beautiful and stately homes and among the best examples of High Elizabethan architecture. The first private residence to open its enormous doors to the public, Longleat is located near the towns of Warminster in Wiltshire and Frome in Somerset. Built by Sir John Thynne, mainly designed by Robert Smythson, in 1580, Longleat recalls countless storybooks and postcards. 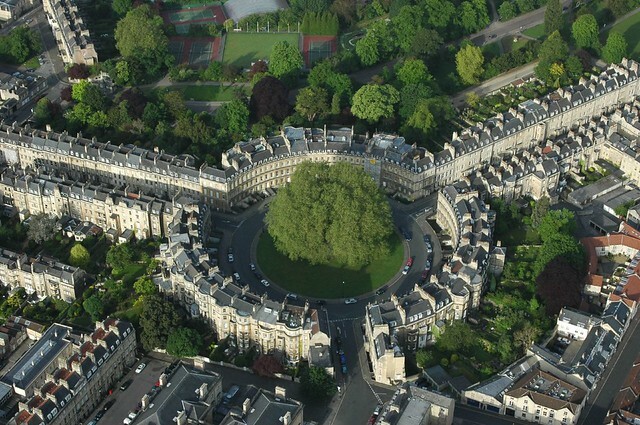 It is now home to the 7th Marquess of Bath, a direct descendant of Sir John Thynne, who is an artist, mural painter and sponsor to many aspiring artists. Longleat House is set within 900 acres (400 hectares) of magnificent Capability Brown landscaped parkland. A further 8,000 acres (3,200 hectares) of woodland, lakes and farmland surround the estate! In the late 13th Century, a priory belonging to the Black Canons of the Order of St Augustine occupied the site where Longleat House now stands. As you enter the property during spring, the road is bordered by a most beautiful garden of rhododendrons blooming in every colour. There are many different activities to partake in, including the House tour, Longleat Hedge Maze, the Safari Animal park, Safari Boat ride, Longleat Railway, Grounds & Garden Walks. The Library is also quite expansive, where books range from early medieval manuscripts to 19th and 20th-century children’s tales- much like air Longleat itself! Just hearing the name- Glastonbury- brings images to mind: Arthurian England and Avalon, magical druids, hordes of young people covered in mud listening to music. In life, Glastonbury Tor truly is a magical place. There is a reason that all these iconographic legends are attached to it. When we caught our first glimpse of the Tor; we were struck by its perfection. It appears as a hallucination, something too wonderfully perfect to be real. As we climbed toward the tower on top of Holly Hill, I couldn’t help but think of the hundreds of thousands of feet that have trod the same path over thousands of years. Arthur trod here; for as long as man has been in England, he has walked these paths. Saxon kings, Roman centurions, me. The famous little town (10,,000 people) of Glastonbury is a bit hippie touristic these days. What we did, and highly recommend, is to stop in and grab a picnic from the many organic food vendors who line the streets. Definitely walk! Walk to the top of the High Street, make a right behind the abbey (duck in the back gate for a cute little garden and follow the signs up the back path towards the Tor. We went totally hippie and brought divining rods (thanks Zoe! )- and I tell you they work! It was amazing to watch them cross as we transgressed the ley lines and power spots. One thing I found quite interesting, though in retrospect quite obvious, is that wherever I found a trampled oval from a resting sheep- I would invariably find a power spot where my rods would cross as fast as if someone grabbed them while in my hands! If you didn’t bring a pair, grab one in any of the shops and head out to do some magic yourself – your in Avalon! In the über picturesque village of Lacock, in a tiny Tudor building (1167 – 1216), behind a garden of poppies and wild flowers, sits the lovely King John’s Hunting Lodge Tea House. Arriving along the ancient lane, you float through the gate and garden. Soaking in the pure Englishness of the scene. Pitched roofs, dripping windows, muted brick and bright flowers set the scene for an excellent spot of tea. Our arrival on a cool early spring day, gave us an idea of how important these warm homey spots were. Brushing off the chill we soaked up the warm ambiance. Once settled, we indulged in the “King John’s Royal Tea”, which included delectable Tea sandwiches (A yummy Welsh Rarebit for me – wish I had one now!) & warm scones served with local fruit jams and organic Jersey clotted cream. We spread it on everything we could! Of all the scones and jams I’ve had, this sitting raised the bar yet again. Looking at the origins, I could see this being the perfect calorie filled breakfast for farmers setting out for a day’s labor. A daily menu includes soups, homemade breads, delicious pastries, mackerel cakes and more! There is a fine selection of tea, hot chocolate, coffee, spiced apple, elderflower presse, hot berry bliss … and a little shop for take away.